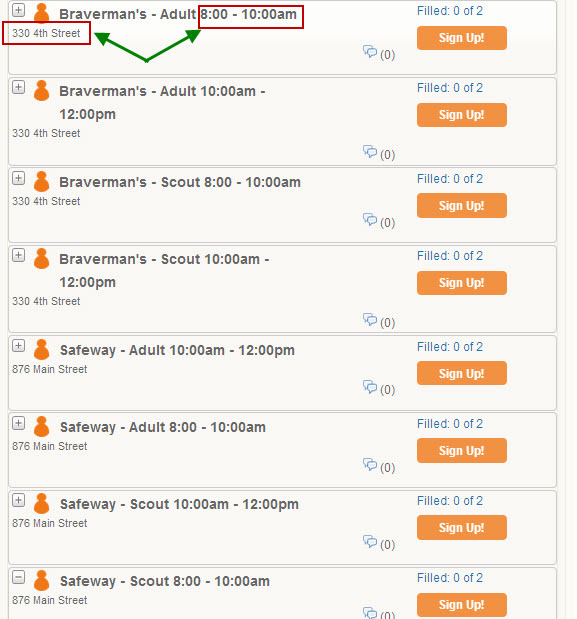 Knowing how SignUp.com sorts items allows you to manipulate the order choosing your Start Times, Descriptions carefully. The first sort is always by time. If you do not need to track volunteer hours, you can put the time in the Spot Description or Extra Details to then force the sort to be by Spot Description. **Note: this is not recommended if you are tracking participant hours. How do I configure Large Events (Carnivals, Festivals, Races, etc.) using SignUp.com?